Knoxville’s city center is at the heart of the bourgeoning food scene. Step outside downtown and you can also find hidden gems around Knoxville. Sticky Rice Cafe is one of those places. 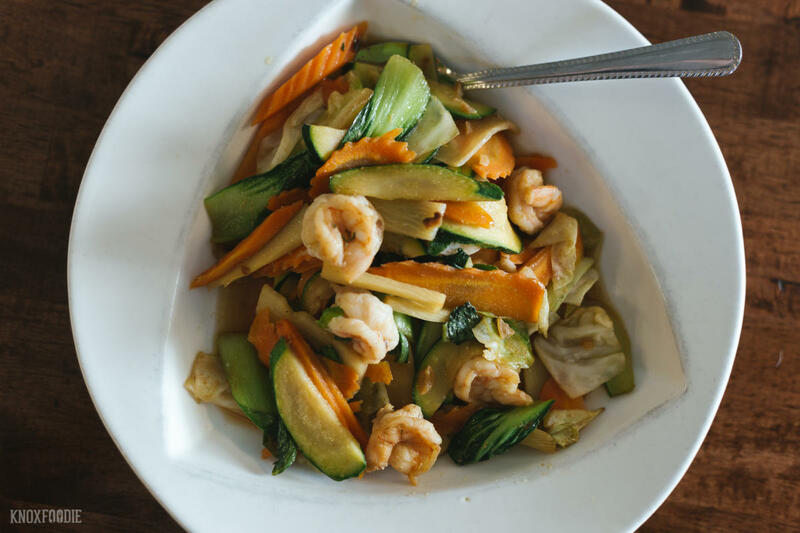 Khan Sikarng with the help of her family who migrated to the United States when she was a child are working hard to bring the bold flavors of Laos to the Knoxville table. Before opening Sticky Rice Cafe near West Town Mall, Khan spent most of her adult life in the hospitality industry. Working at a host of local restaurants and bars prepared her to bring her own dream of restaurant ownership to life two years ago. 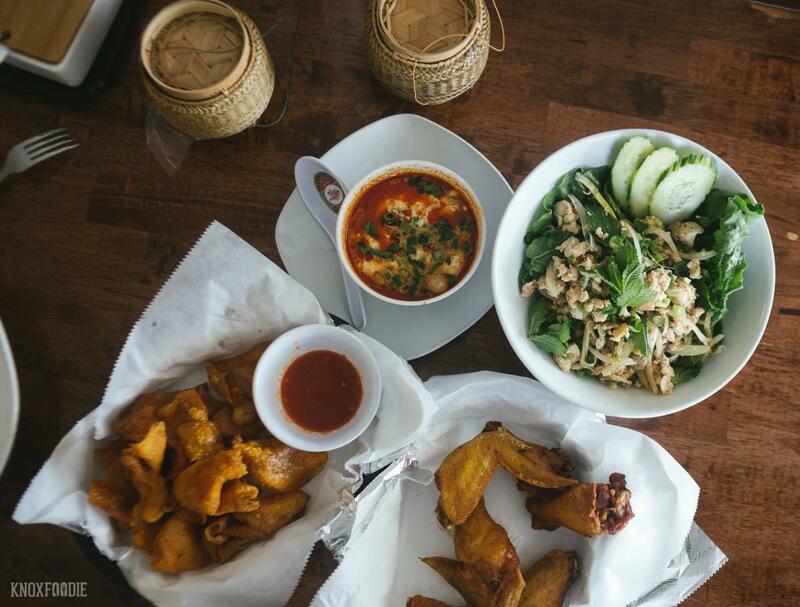 The food of Laos, a small Southeast Asian country, is bold, spicy and delicious. Curry is a main stay and Khan could go on and on about her mom&apos;s green curry sauce. 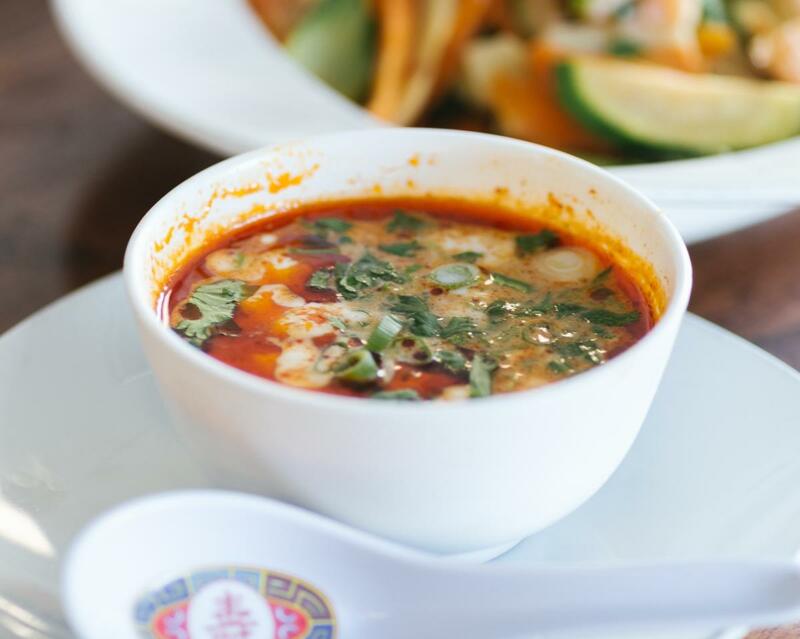 Soups like Pho and Tom Yum sit with you like comfort food. Dishes of sour pork with crispy rice and chicken laab awaken the taste buds with a surprising salty tartness you can only attribute to fish sauce. The menu is diverse. Sticky Rice Cafe has a range of flavor profiles and spice levels to appeal to many palates. Not sure what to order? We&apos;ve put together a beginner&apos;s menu below to help you out. Please, don&apos;t be afraid to take the house recommendations. We’re in the South and pork rinds are a common site. 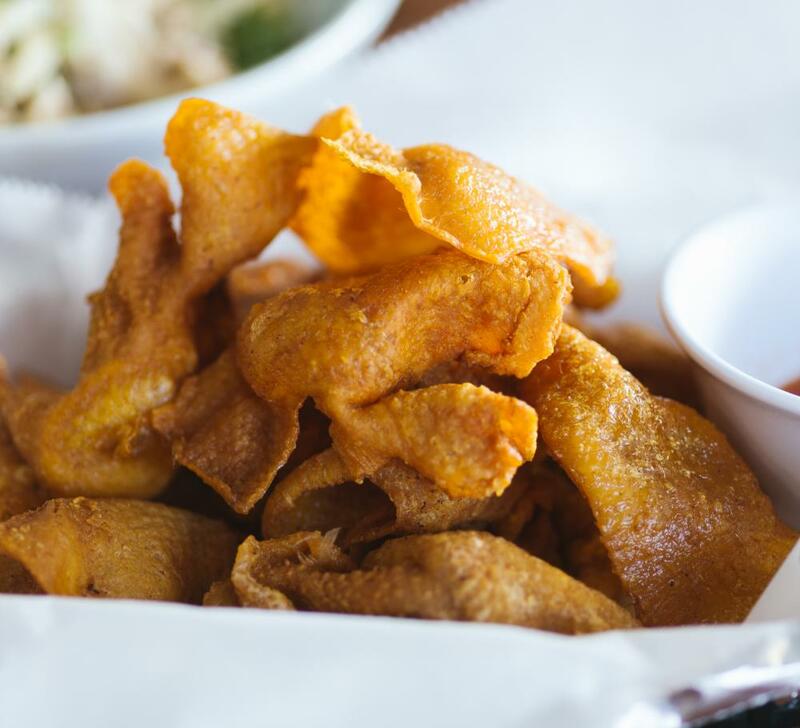 But Sticky Rice takes fried skins a step farther by frying chicken skin until crisp and serving them with house-made sauces. Khan and her family know that they are serving up unfamiliar dishes and are equipped to answer your questions and also provide dishes that appeal to the less adventurous diners. 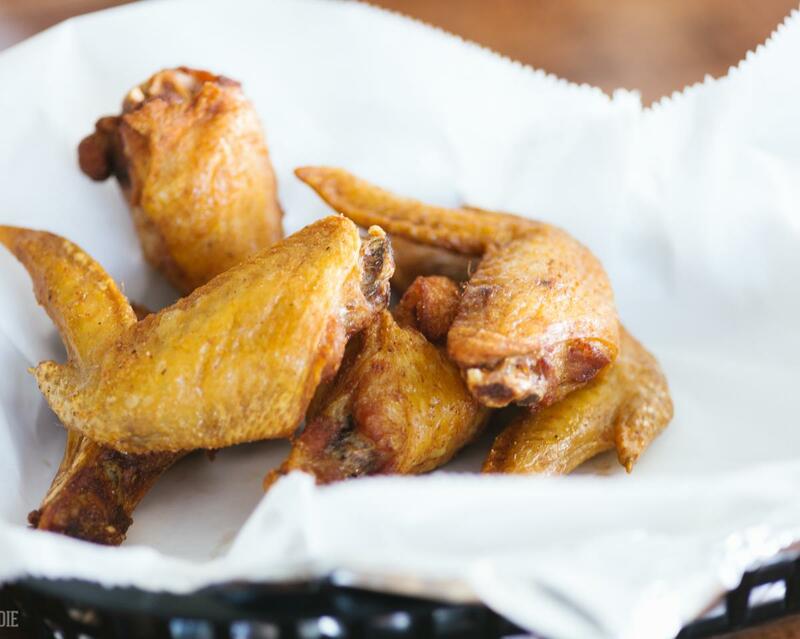 Their chicken wings, available in 3 styles, can compete with any in town. This dish may seem ordinary on the surface, but the seasoning “Mama” applies and the perfect crunch left in the vegetables make it perfect for and easy dinner option. We like to top ours with shrimp. Laab is a traditional Southeast Asia salad. 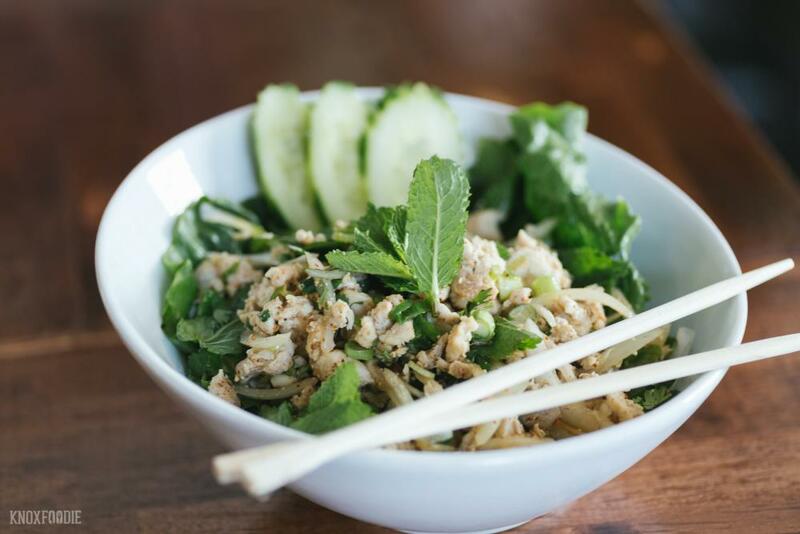 It’s spicy, citrusy with a hint of fish sauce and bright fresh herbs. It instantly became our favorite dish on the menu. If you’re hosting a group gathering, consider calling ahead and arranging a Hot Pot lunch or dinner like we recently attended with friends. Sticky Rice will put together a seafood ensemble like none in town. Large heated bowls of tom yum soup with fish dumplings are placed on the table and diners, after some instruction, can drop their preferred seafood and vegetables into the hot broth and allow it to cook on their table. It’s a great way to enjoy what Kahn tells us is a typical family meal for her family. For those that prefer land-dwelling meat to seafood, Kahn can also provide a Daht Seen which is meat cooked on the table on top of griddles. 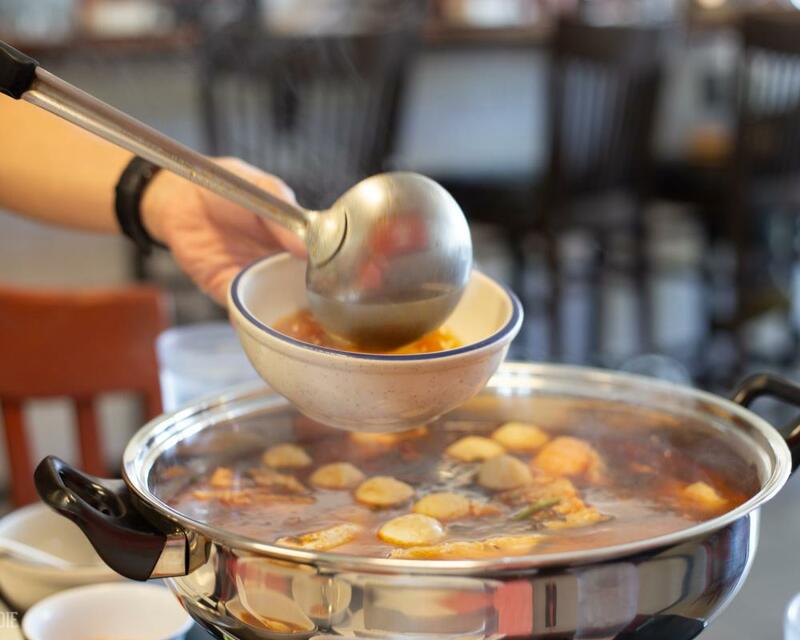 Sticky Rice prefers a week’s notice to put together a Hot Pot or Daht Seem in order to arrange for the freshest ingredients in proper quantities.